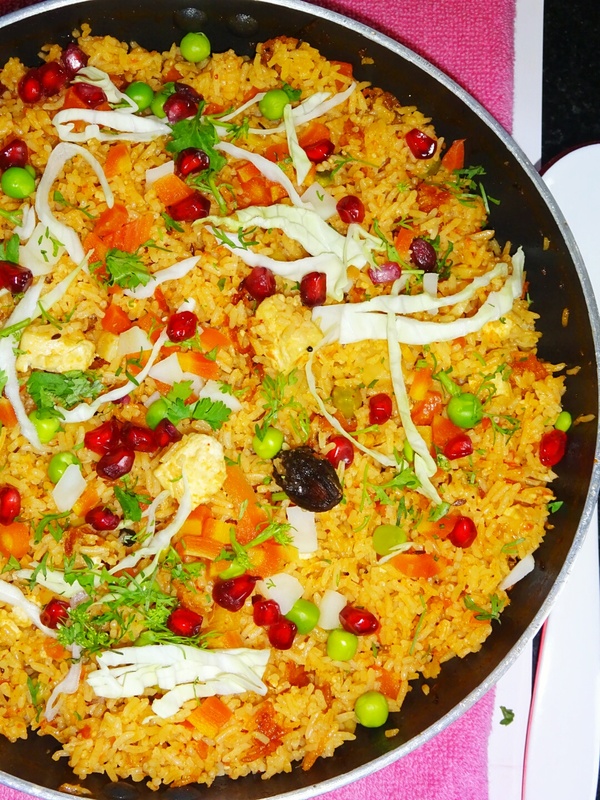 Veg Indian Good Food Recipes..: Green Tea with Pomegranate Juice. 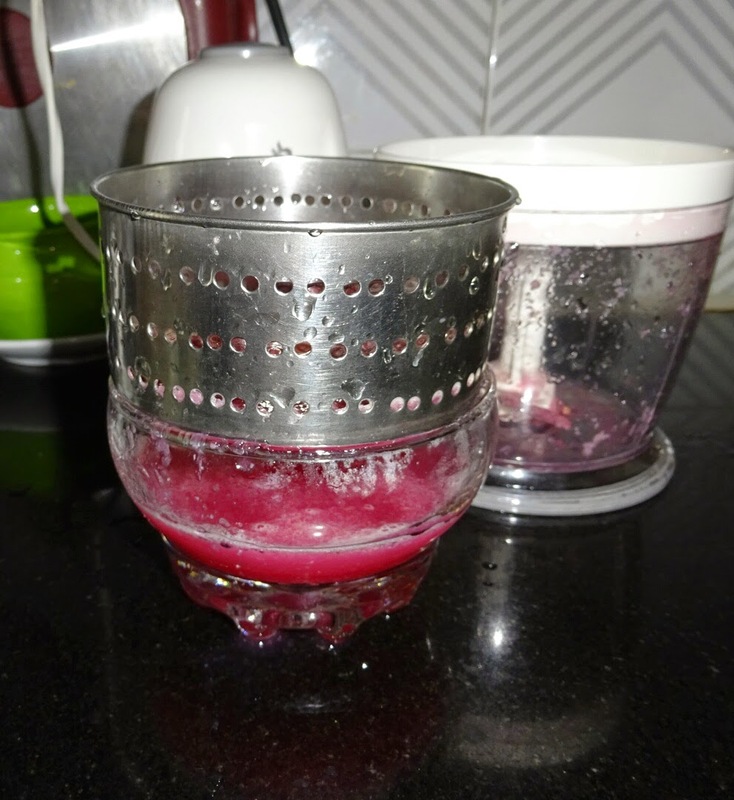 How to make Green Tea with Pomegranate Juice | Pomegranate Green Tea | Green Tea. 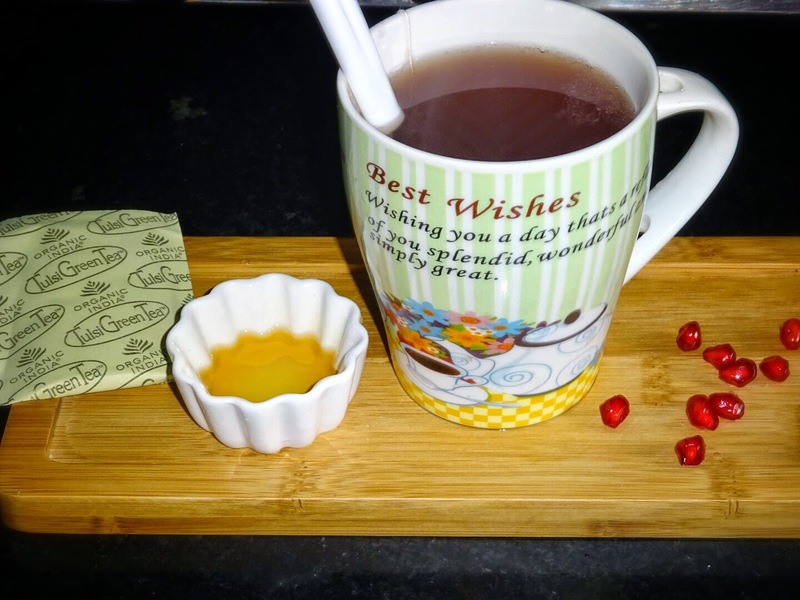 I am back with one more easy and wonderful beverage recipe of green tea with pomegranate juice. Green tea is an excellent drink, which is high in antioxidants, and very effective in detoxifying our system. We have been drinking green tea religiously for many years. I am the craziest fan of green tea. 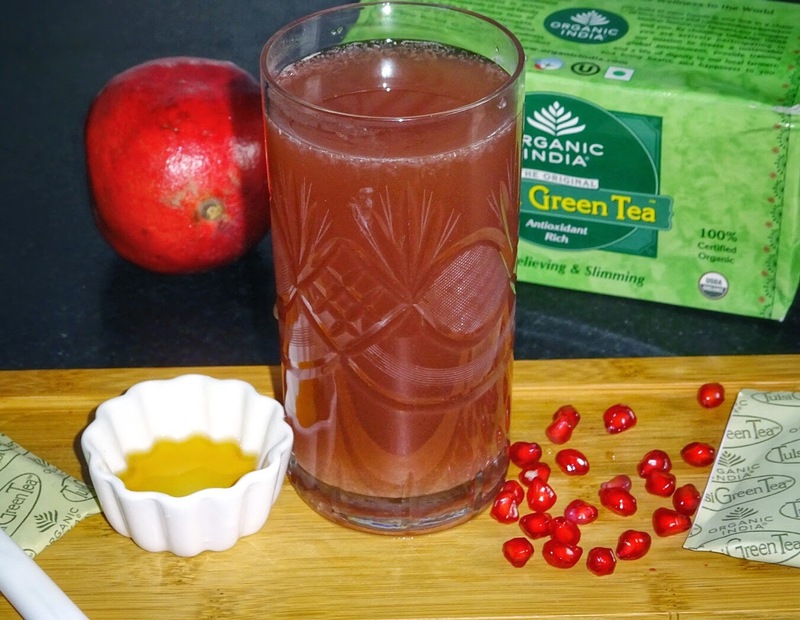 Pomegranate juice with green tea is an excellent combination. 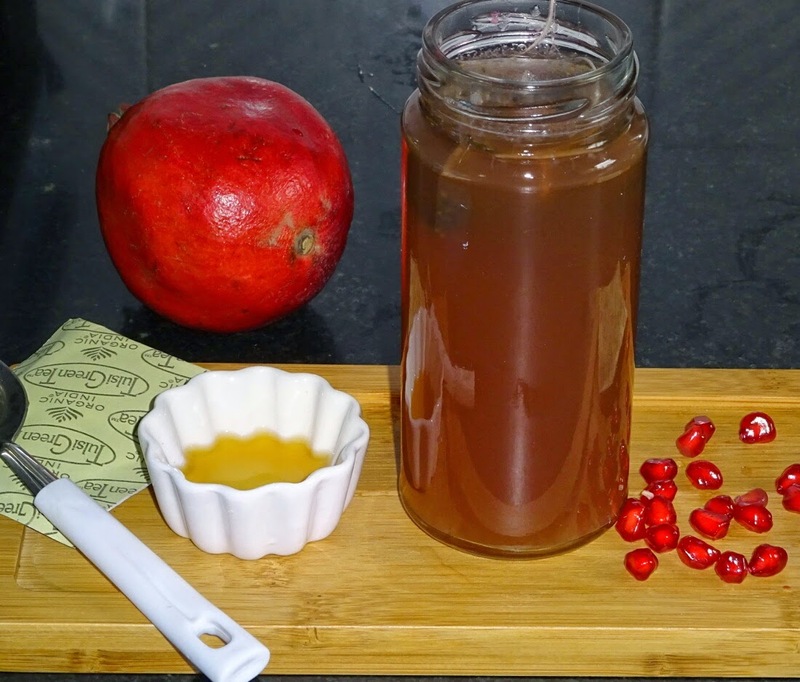 Green tea and pomegranates contain powerful antioxidants which are known to prevent cancer and lower cholesterol levels and helps in strengthening the immune system. 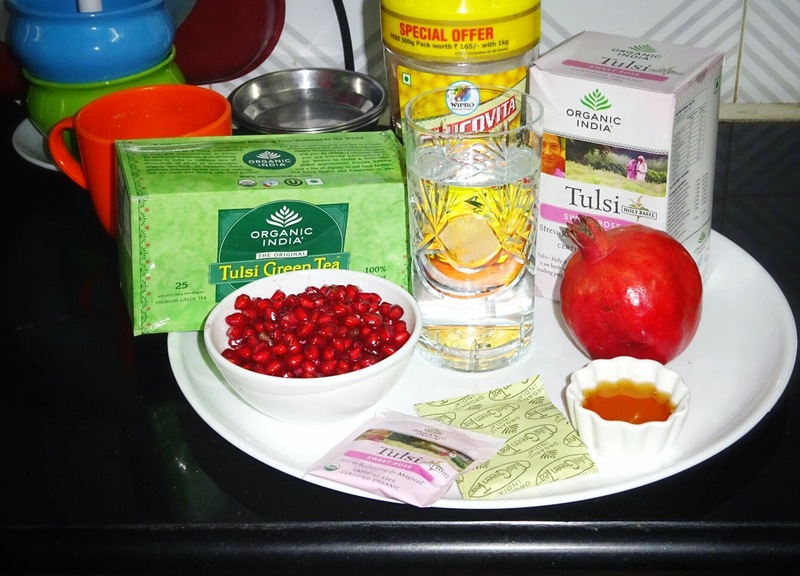 ✏Instructions as how to prepare Green Tea with Pomegranate Juice. 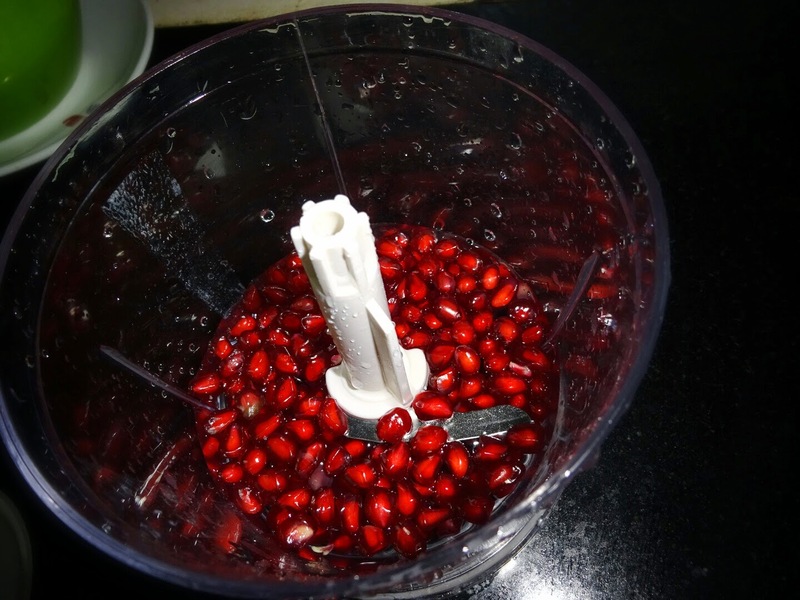 ✏Step 1 : Extract juice from Pomegranate. 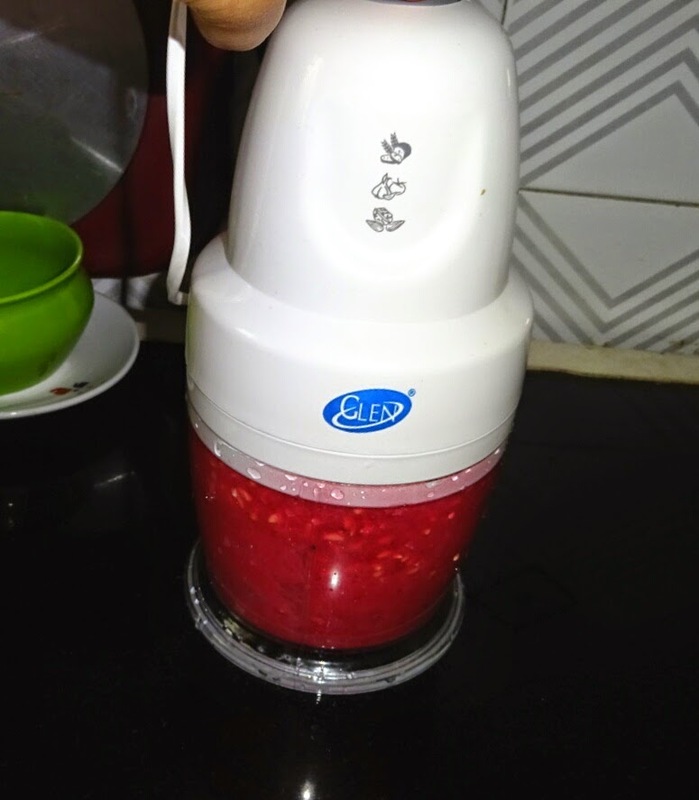 ◾I am using my chopper, as it extract, pomegranate juice within few seconds. 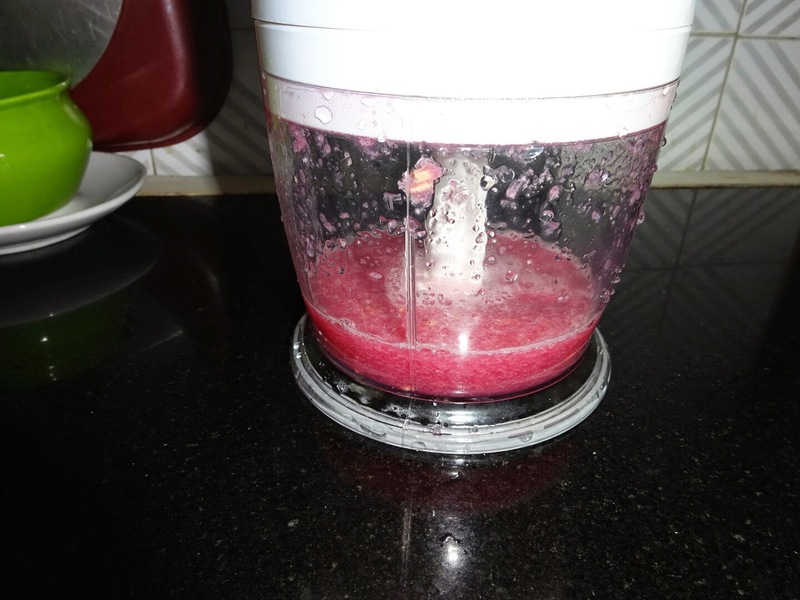 ◾Add pomegranate in chopper for 15 seconds. Sieve the juice and keep it aside. 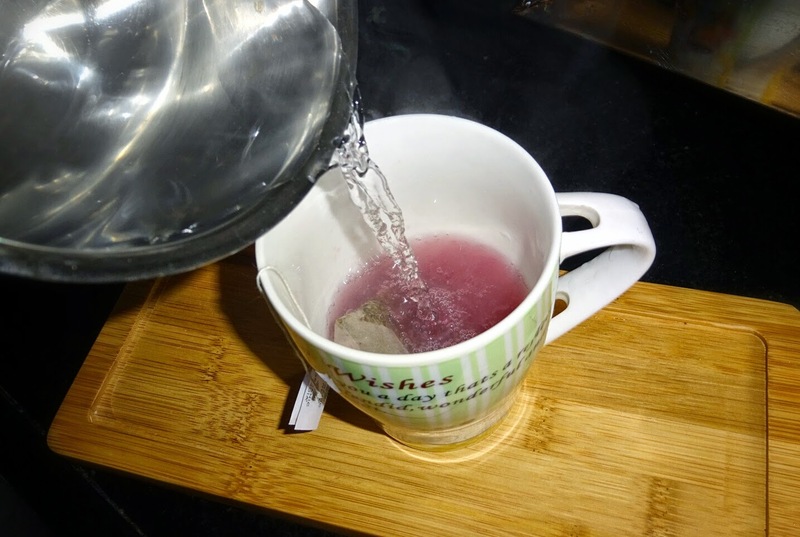 ✏Step 2 : Boil water and make green tea by steeping method. 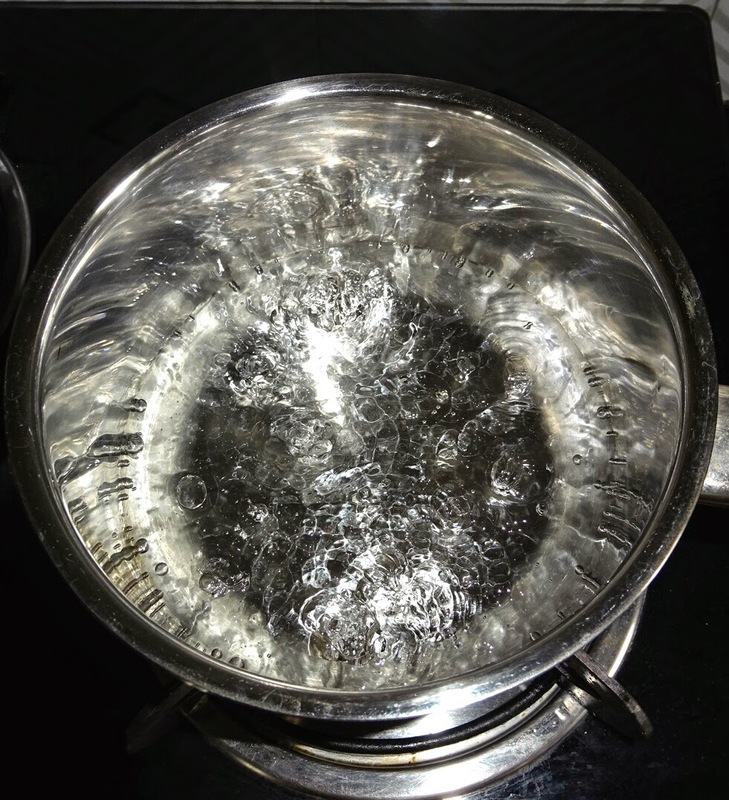 ◾Boil 150 ml water in a pan. 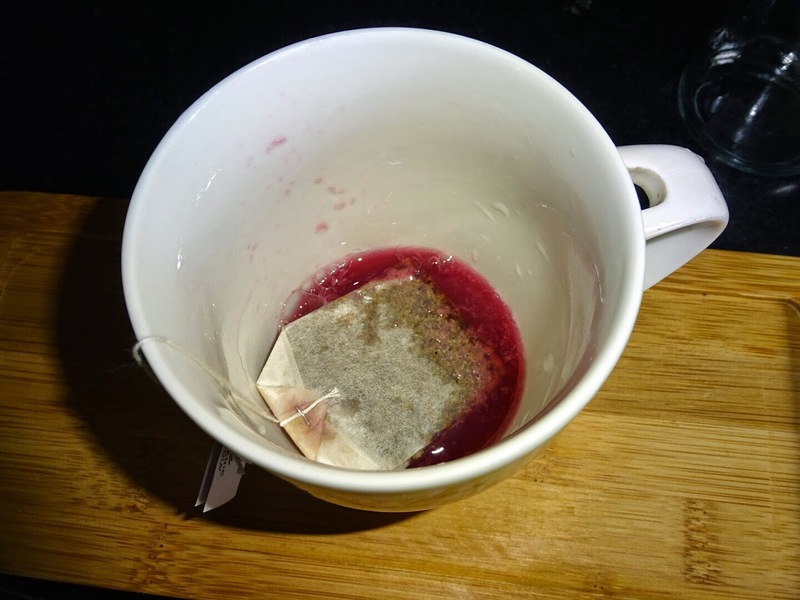 ◾Pour boiling water over tea bag in a cup and infuse for 2-3 minutes or more if you want strong flavor. 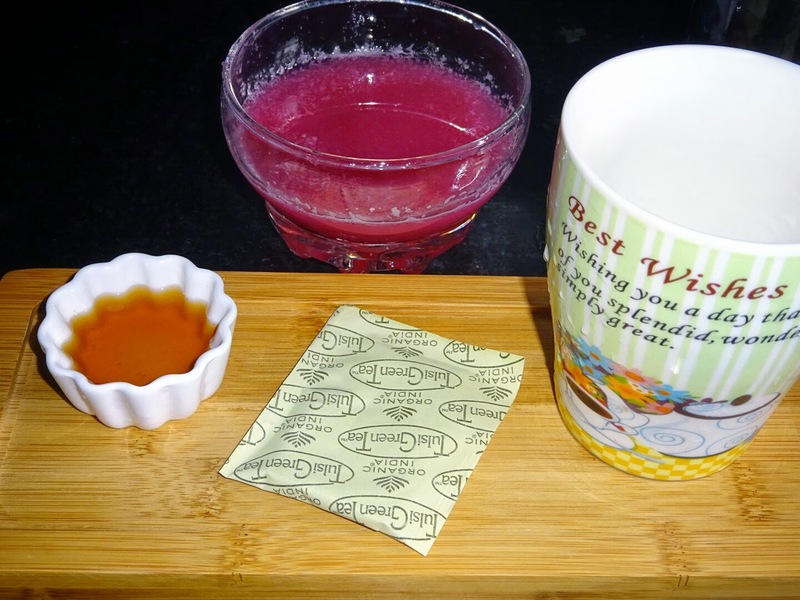 ◾Remove tea bags stir and serve immediately. This is a interesting combo!